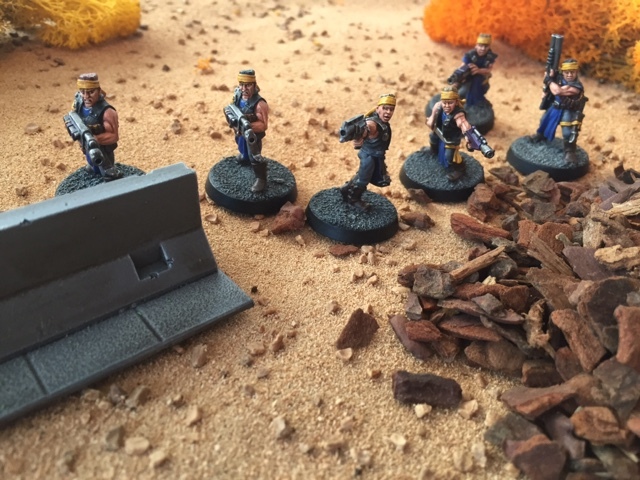 After having spent a fair few months collecting and painting a selection of post-apocalyptic forces for some Fallout themed games it felt like it was finally the time to get these Wasteland wanderers onto the battlefield for a bit of action. 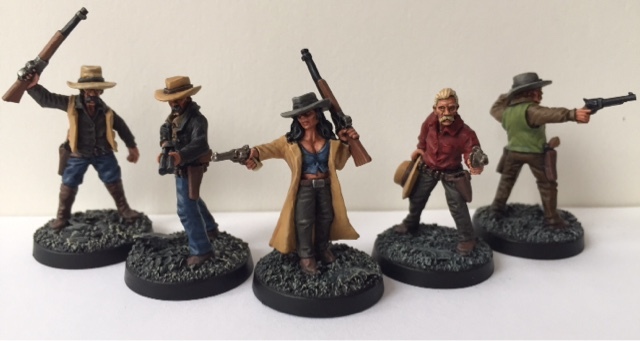 As ever my dedicated girlfriend was happy to help out and also to get the NCR Rangers that I had painted for her onto the table and so we set some time aside to make this happen. We were actually able to fit two skirmishes into one morning, but this post will only deal with the first battle... Have no fear, I will cover the second one at some point in the near future. As ever I used the old but trusty Rogue Trader Rules to facilitate this battle as its small-scale narrative style suits the setting perfectly. I also bought some extra scenery and scatter terrain in order to accurately represent the California/Nevada Wasteland. Well following on from the awesome time that I had hosting the Fallout vs Rogue Trader game at BOYL/Oldhammer Day 2015 I have continued to expand my forces for playing games in Bethesda's popular post-apocalyptic universe. My exceptionally supportive girlfriend actually took part in the original Fallout game at Foundry in August and really enjoyed it, taking an instant liking to the post-nuclear setting of the Fallout franchise. So it came as no surprise that when she found out that I was planning on expanding my Fallout forces she was keen to get involved and have her own faction to play with. I sent her off to do a little research on the setting and when she returned she told me that her favourite force was that of the New California Republic and more specifically their elite NCR Rangers. With this in mind I then set about locating, purchasing and painting up some figures to represent these characterful soldiers on the tabletop so that she would have some troops to command. Ranger Athena and her posse of the NCR's finest prepare to engage the enemy!